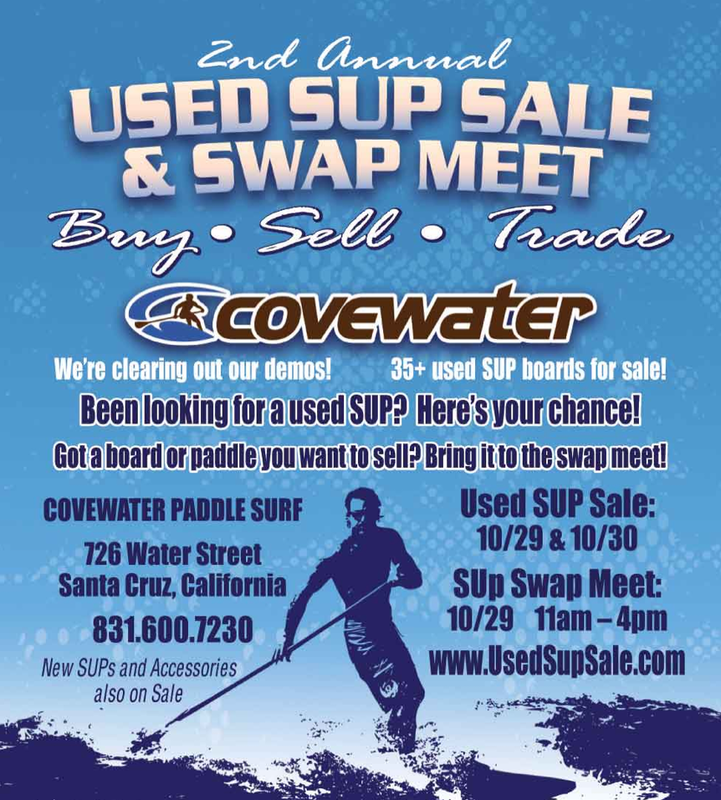 Stand Up Paddle Surfing: CoveWater Stand Up Sale... Check it out! Been looking for a used SUP? Or, do you have a board or paddle you would like to unload? 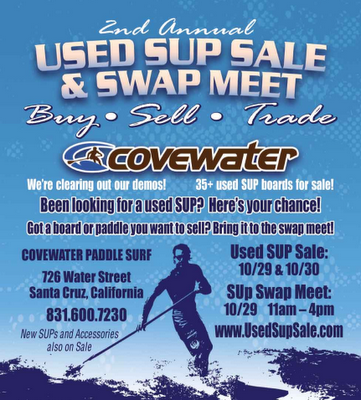 Here is your chance - its Covewater Paddle Surf's huge, 2nd annual "USED BOARD SALE AND SWAP MEET", Oct 29 &30. The guys up at Covewater will have 35+ used SUP boards for sale that weekend: race boards, surf boards, touring boards, all arounders. In addition, on Saturday the 29th from 11 AM to 4 PM, they hold a big "SUP Swap Meet" in their parking lot. Drop off any gear you want to sell, tell them how much you want for it, then they will do the rest, taking just a 5% commission of anything sold. This annual sale is the largest used board sale in the state, so check it out. Here is the listing of used standup paddleboards for sale!